Last year during the For the Love of Solids Swap, Michelle of City House Studio made the most darling book bag for her partner. So when she asked for volunteers to pattern test the book bag for her a few weeks ago, I was more than willing. 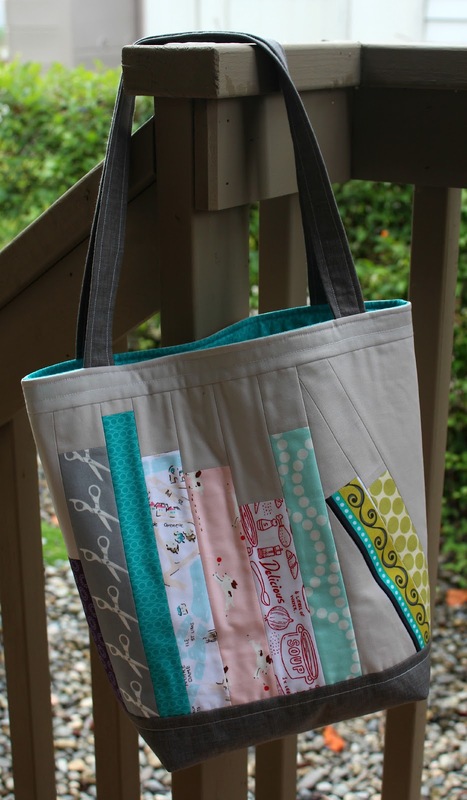 The "Read" Book Bag calls for a little paper-piecing, but mostly basic sewing. For the 'books', I chose some favorite fabrics, along with a few that signified special meaning for my family - a 'sewing' book (scissors), a foreign language book, and a 'cookbook'. 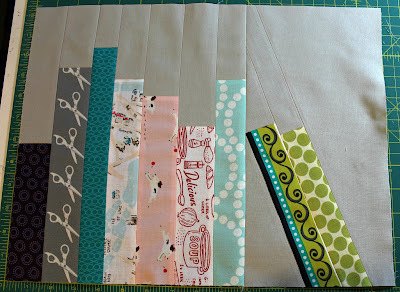 The background was done in KONA Ash, and the 'bookshelf' fabric is Quilter's Linen in Stone. Paper piecing was just required for the "read" letters - 4 small blocks, so it went pretty quick, and was fun to do scrappy. 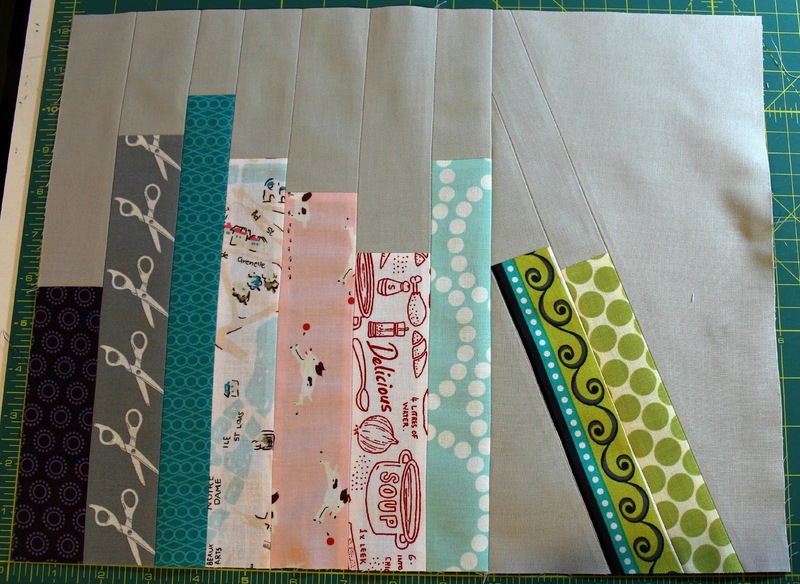 I used many of the fabrics I'd used on the book side, plus added what I needed of other coordinating fabrics so no two were repeated. Since my books and letters weren't as bold as they could have been, I decided to go a little brighter for the lining and inner pocket. The book bag was really an enjoyable project, and I'm glad I was able to help Michelle out by testing her pattern and giving some feedback. What a fun and useful little project! Thanks Michelle! What a beautiful book bag this turned out to be! This turned out so cute! It looks great in your more subdued color palette. I must remember to make one of these for Luke's teacher next year. That is a great bag, and I also love your fabric choices. 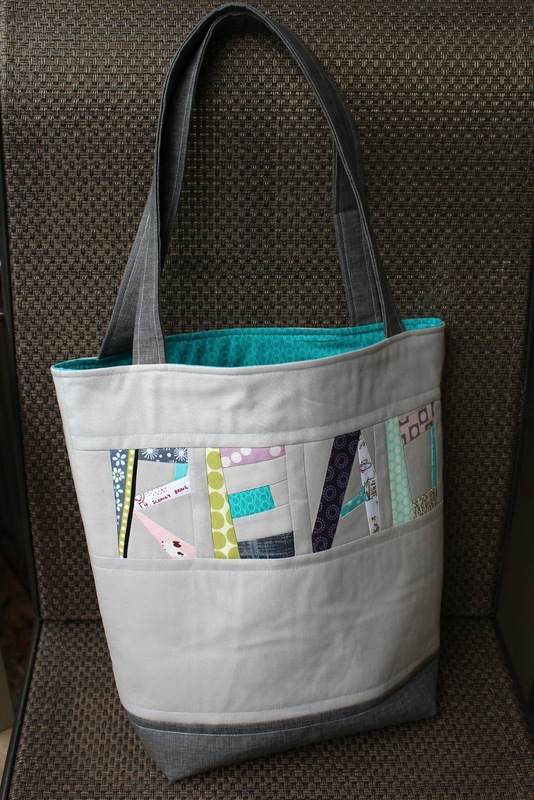 The colors you used with the light and dark gray balanced throughout the bag is great and that lining choice is perfect. Fun to test out a pattern. This came out fabulous! I'm going to be working on mine today! Great work! fabulous bag, Debbie. Love how it has books on one side and letters on the other side. Just wonderful! Adorable! Love your color scheme! So great Debbie. 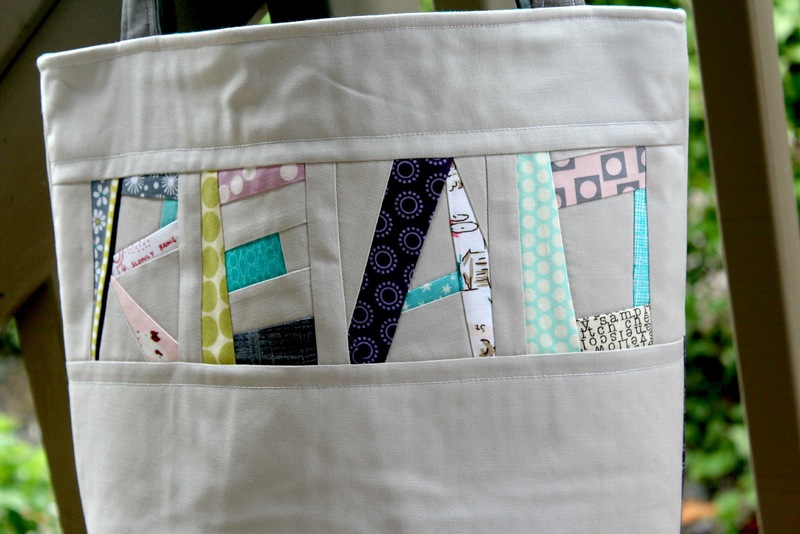 I think I need a library bag that looks like yours! This is such a great bag - love the colours you used! Lovely!!! 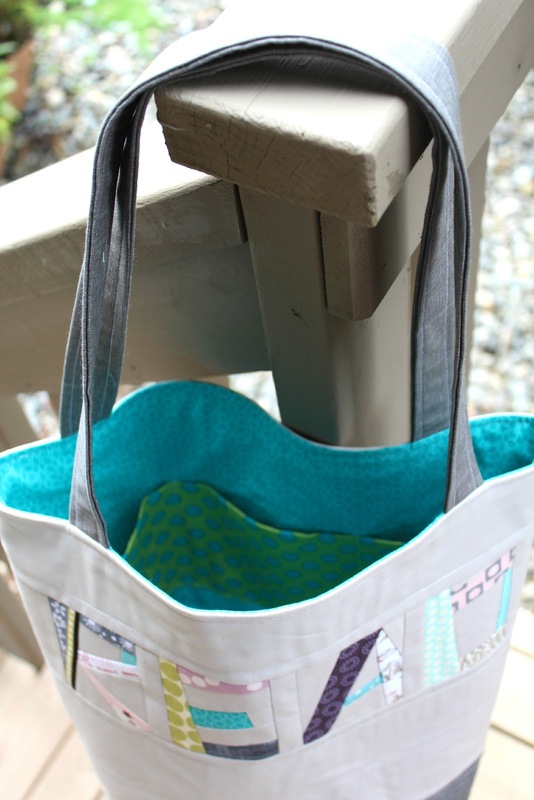 The bag is a really nice shape and your fabric choices were simply lovely. I'm so glad you had fun with it - and thanks so much for your help! Adorable! 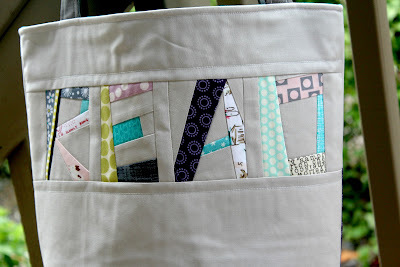 I *love* how you use fabrics to tell what the books were! I love, love, love the "book" especially the cook book, such a clever idea! Very cute, and Michelle created such a cute pattern!